"People come up to me all the time in stores, when I'm eating, and ask where Steve is," says Kellie Shanygne Williams. Williams plays Steve Urkel's (Jaleel White) object of affection, Laura, on the ABC sitcom "Family Matters." "It's pretty funny, like they think I carry him around in my purse!" One thing Williams, 17, does carry around in her purse is a charge card. "Shopping is my only leisurely activity," she says. "And I love to shop. I like to buy anything. I like to buy clothes, stuff for my room. I love malls." Williams divides her time between Los Angeles--where she shoots. "Family Matters" and lives with her mother and two younger siblings-and a Maryland suburb, where she lives with her father. She'll be a senior at her Maryland high school this fall. She got the acting bug at 4. "I was really shy and so my parents put me in theater classes, thinking it would bring me out," says Williams. It not only brought her out, it got her roles in local and national theater, including a part in August Wilson's "Joe Turner's Come and Gone," "The Colored Museum," and "Butterfingers Angel." At this point, Williams was also an accomplished pianist, dancer and singer. Her stage roles led to a part in the NBC special "Celebration in Honor of Dr. Martin Luther King, Jr.," during which she got to meet one of her idols, dancer-choreographer Debbie Allen. 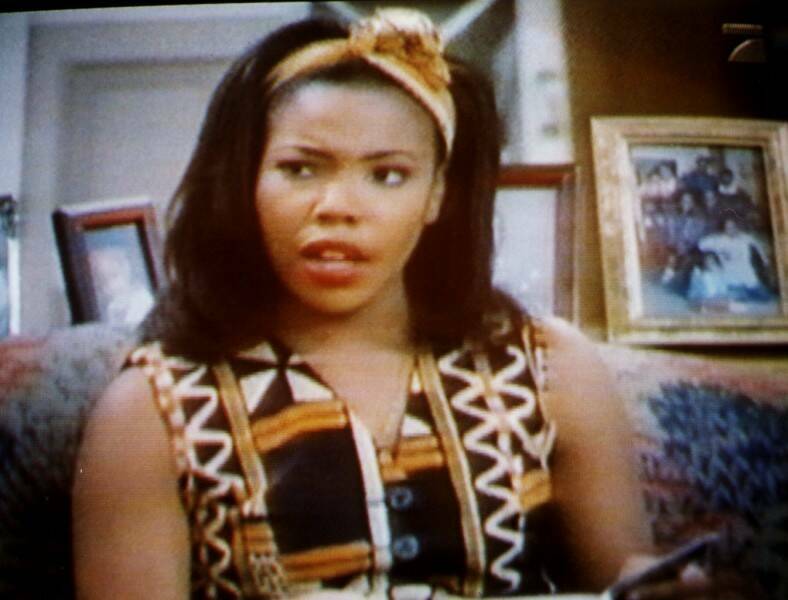 Williams appeared in the feature films "Men Don't Leave" and "Suspect" before landing the role of oldest daughter Laura on "Family Matters." She used to say she was a lot like her character, but now she finds Laura too conservative. "I'm more on the crazy side, like Urkel," she says. Unlike Laura, who has a bevy of boyfriends on the show, Williams good-naturedly says she is still looking for one. "People keep telling me to stop looking because one will show up. But when I do that I still haven't found one!" "We have a lot of fun on the set," she says. "We always flub up lines. Since our show is filmed instead of taped, it takes forever. Our cast just goofs around all the time, but it keeps the audience involved and pepped up." While the academically inclined Williams enjoys her sitcom job, she's not sure she will continue as an actress. "I definitely am going to college," she says and adds that she is looking at Yale and UCLA, with law school a later possibility. She concentrated on her studies during the show's recent hiatus. Asked what future projects she has in mind, she says emphatically, "My diploma!" Williams is proud that "Family Matters" provides good role models for African-Americans. "I get lots of positive feedback," she says. "I get lots of mail from African-American parents and kids and they say they love the way the characters are written." The shop-happy Williams found a kindred spirit last season in Telma Hopkins--"We go shopping together a lot!" --who now has her own sitcom, "Getting By," on NBC this fall. The one thing Williams doesn't seem to have to worry about buying is a future. She's planned ahead. "Family Matters" airs Fridays at 8 p.m. on ABC.